I am so excited to have discovered the lovely online magazine petite purls (thanks to the oliver + s blog). It is a treasure trove of free knitting patterns for kids with a few sewing patterns. Meg, I thought these mittens would be a great use for your upcycled sweaters. I made some felt mittens for Betty using a similar pattern that I painstakingly resized for her little hands from a pattern for adult fleece mittens. This pattern looks much easier! 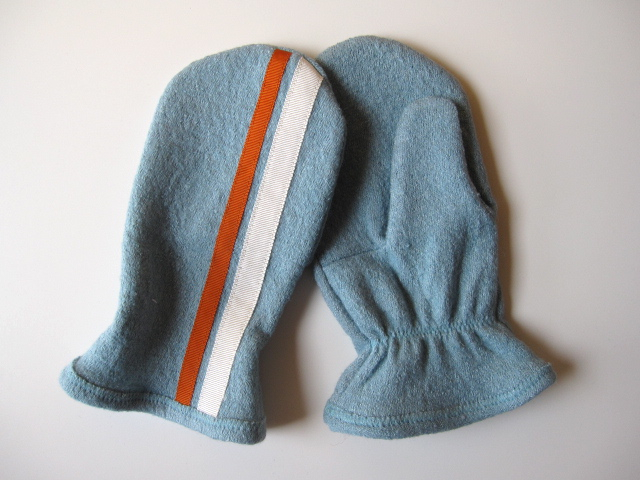 I might add a soft cotton lining if I made these in wool–just tuck the lining inside the mittens and bind the tops together. I love the ’70s style racing stripes. 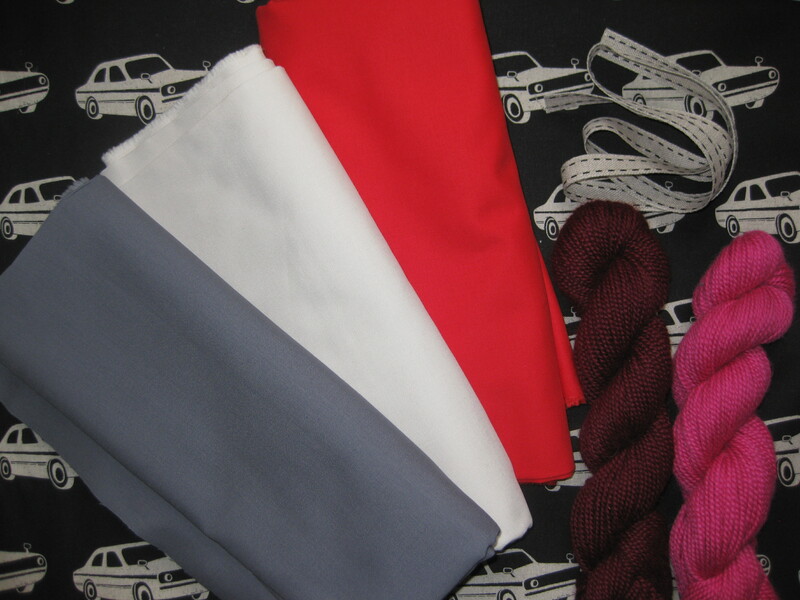 I’m excited about this find: a new fabric & fibers store that invites you in to make something on the spot! Gather Here–located in Cambridge at 370 Broadway–is more than a store: it’s an urban stitch lounge, which if you’ve never heard of one (and I had not) is a community space with machines, supplies, and tables for hanging out, sharing interests, and creating stuff. 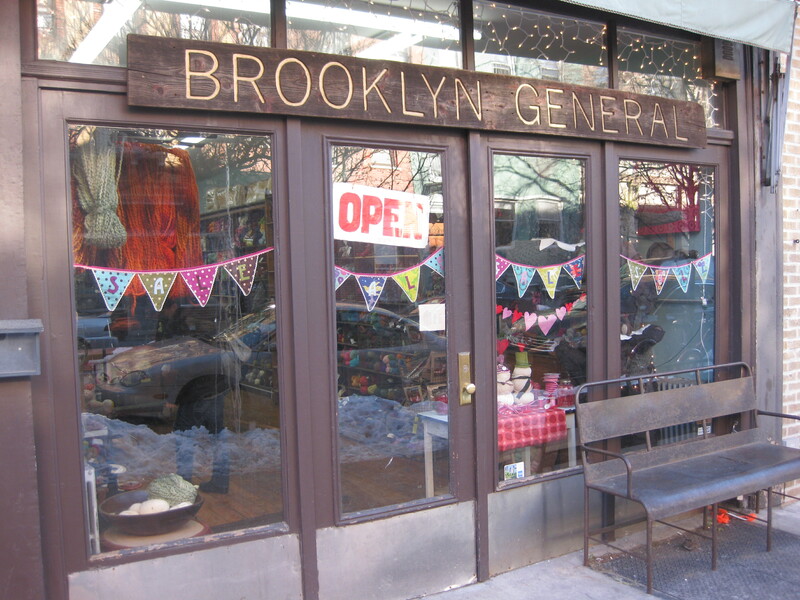 The store also offers a Saturday morning knitter’s brunch and Thursday evening crafty cocktails, as well as classes in quilting, sewing, and embroidery basics. After I shlep over today to check out Gather Here’s fabric selection–I’m headed for the Cambridge Public Library (the addition was designed by William Rawn Associates–and my husband!). Go sit in that hunk of a wood chair by the big window in the Children’s Room and read a stack of picture books–with, or without kids.